What do college students, cross-country drivers, and graveyard shift workers have in common? They’re all prone to nodding off, as we all are when we’re at the limit of our endurance—or our attention span. The sensations are familiar enough to many of us: our eyes grow heavy; our thoughts sink into a dull buzz; and the next thing we know, we’re lurching back into the waking world with a sharp jolt. We call these episodes “microsleep”—a term that we’re hearing more and more, now that we find ourselves battling sleepiness more often. But when we say “microsleep,” does that mean each quick lull is a micro-dose that we could stack to equal a full night’s rest? Let’s dive into the research to find out. The most obvious and most common answer is fatigue. Sleep is a vital component of our body’s health, and the restorative biological processes that keep us running often kick in only when we’re asleep. Unsurprisingly, then, pushing past our usual sleep times can wear down our mind and body, to the point that these start involuntarily lapsing into “sleep.” Some portions of our brain might fight to stay awake, like the frontal parietal lobe that helps regulate our vigilance and wakefulness. However, as we’ll see later, that doesn’t always stop other sections of our brain from “turning off” briefly anyway. Boredom can also be a trigger for microsleep. When you’re logging hours with a repetitive or monotonous task, there’s not as much stimuli to keep your brain engaged; as such, parts of it may lapse into inactivity. Unsurprisingly, situations that are both tiring and monotonous, such as long stretches of repetitive tasks on the night-shift, or an overnight drive down empty highways, put people at higher risk of falling into microsleep. Loss of focus and engagement is the hallmark of microsleep. It’s a deeper effect than simple distraction or boredom: your mind lapses into unconsciousness, disengaging completely from the task at hand. A typical microsleep episode can last from under a second to around 10 seconds; some experts stretch that range up to around 1-2 minutes. Any longer than that, though, and you’re entering “nap” territory. The physical signs of microsleep can vary. The term might lead you to expect that an episode always begins with your eyes drifting shut, but some people can experience microsleep even with their eyes open! Even then, though, the brain ceases to respond to external stimuli, so they’re likely to have a blank or unfocused gaze. Regardless of whether your eyes are open or closed, these spells of inattention are so short and subtle that they often come and pass without your brain even knowing it. When your brain does notice, it usually has that sudden snap or jerk of the head to thank. That jerk signals a return to full consciousness, and the surprise from the sudden movement is what lets your mind know that it even dozed off at all. Microsleep is more than a matter of your attention wandering, though. Remember how brain activity shifts as we lapse into full-fledged sleep? Similar changes occur during an episode of micro-sleep. Researchers have found, for example, that the thalamus—which relays sensory information to other parts of the brain—quiets down during a microsleep episode, which explains why your mind feels disengaged from the outside world. Similar studies done on animals also suggest that other regions of the brain, especially those in charge of movement and fine motor control, essentially “power down” or lapse into inactivity, even if the subject looked to be awake. This “localized” sleeping helps explain why we’re so much more prone to mistakes when we’re experiencing a spell of microsleep. It’s not just that we’re unreceptive to external stimuli; our ability to react or even just continue an ongoing action suffers, too. All of this adds up to a phenomenon that poses more dangers than we might expect. Sure, a student nodding off at their desk can be inconvenient at most, but the stakes get much higher when we look at, say, shift workers handling industrial equipment or drivers cruising down a highway late at night. 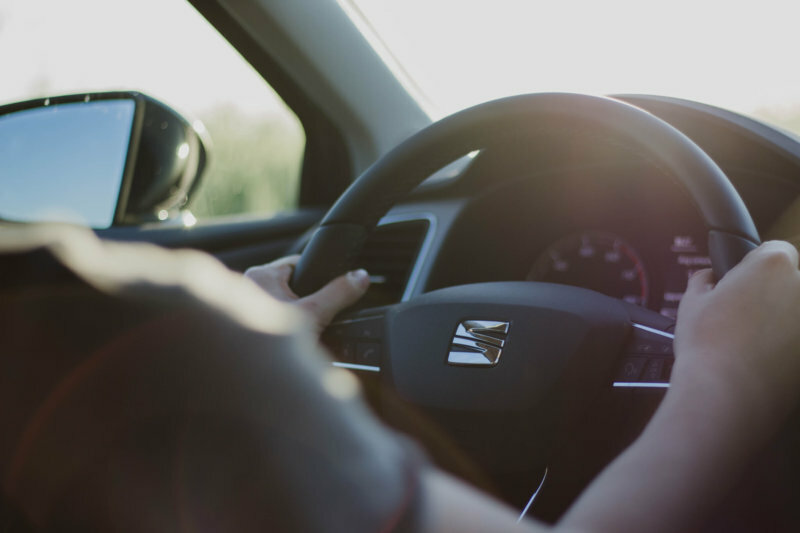 In fact, researchers from the UK who surveyed 1,000 drivers found that almost half of men, and almost a quarter of women, reported microsleep episodes while driving. Of the accidents tallied on the country’s major roads, the UK Department of Transport notes that around 20% are sleep-related. In the US, the AAA Foundation for Traffic Safety reports similarly alarming statistics, with “drowsy drivers” involved in an estimated 16.5% of fatal car crashes. Driving isn’t the only activity that grows vastly more dangerous thanks to microsleep. In the 1980s, sleep scientists conducted a review of notable catastrophes in an effort to gather more information about the role of sleep (and sleep deprivation) in exacerbating the risks and consequences of human error. 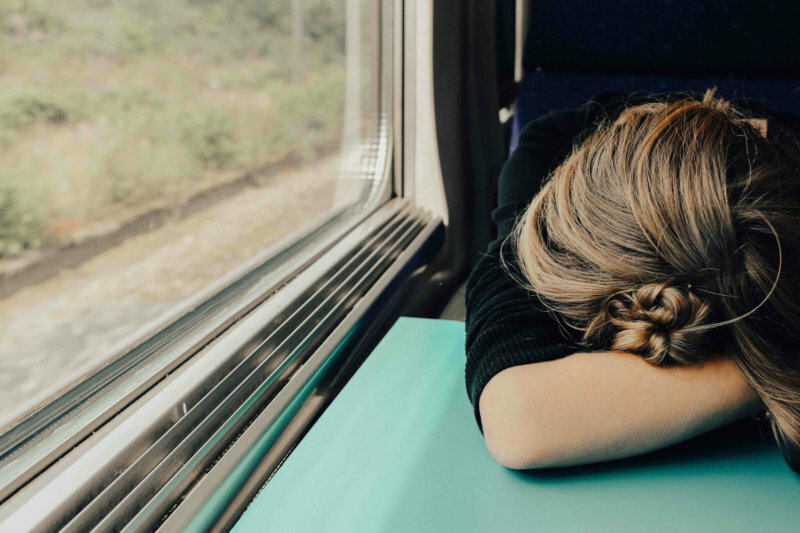 Their findings showed that sleep loss and the resulting impairments (including episodes of microsleep) played significant roles in disasters like railway system errors, nuclear reactor meltdowns, and even the Challenger and Columbia space shuttle accidents. Microsleep might be too brief for our brains to register, but it can have devastating effects. These signs might be light enough that you’re tempted to push through and leave sleep for later, but we’re often bad at gauging our ability to resist sleep. If you can’t avoid a situation that denies you sleep and strains your ability to stay engaged, though, here are some tips that you can try. Caffeine might be the obvious answer here, but remember that it takes about 20 minutes to take effect. You can pair your coffee or tea with a power nap, or you can take vitamin supplements for a quick pick-me-up. Speaking of power naps, you should include breaks in your schedule. These can be as simple as stepping outside your office for some fresh air, pulling over during a night drive for a 20-minute power nap, or standing up from your desk to stretch. A break can quite literally disrupt the monotony of your current situation, shaking your mind out of its stupor. Breaks can also give you time to replenish your energy, which is perfect if you’re running on fumes. 3. Schedule tasks for your most energetic hours. Our energy levels tend to drop during the early afternoon, as well as late at night. If you can, schedule that long drive, lengthy task, or boring subject at a time when you’re more alert. Are you a morning person? Put your hours-long lecture class in that morning slot. Prefer to work in the late afternoon? Maybe save your paperwork until then. Knowing your chronotype can be a big plus here, since people tend to have different peak activity hours. 4. Find a way to stay engaged. You can set “work sprints” using the Pomodoro method, enlist a colleague to be your “task buddy,” or simply put on a riveting podcast for the last leg of your overnight drive. There are many ways to ensure that you have something to keep you alert and focused, and it’s best to have a range of options available so you can switch between them as needed.